Accurate scheduling is a key component of our energy conservation program. Our goal is to insure that classrooms or other areas not in use are not provided with HVAC, non-emergency lighting, or other non-essential utilities. Areas that are not on the master schedule are automatically turned off unless a specific request is made. All request should be submitted at least 5 working days prior to the requested event. When faced with the need to operate a room or building outside of the master schedule compiled by the Registrar's office or normal building operating hours, a schedule change request is required. Since energy cost is a major consideration by the University, variations from the schedule generally require approval by a Dean or other authorized manager. Submission for a request should be entered through the web form at this web link, AC-REQUEST at least 5 working days prior to the event. Request needed to be processed in less than five days, please email facilitieshvac@fac-lists.facilities.fsu.edu with the information about the event to schedule. Emergency requests should be made directly by phone to (850) 644-2424. 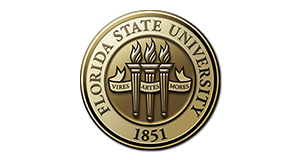 It is also important to notify facilitieshvac@fac-lists.facilities.fsu.edu if your schedule or event has been changed or cancelled. This will allow for adjustment or removal of the scheduling request in the building automation system. Building floor, office suite and/or specific room numbers being used. Date or Days event is taking place. Specific event start time and end time for each day. Start time for each day should include when staff begins setup before event. If event starts at 9:00 AM and staff arrives at 7:00 AM for setup then the start time should be reported as 7:00 AM. End time for each day should be reported as the expected time staff leaves after any breakdown and cleanup of event space. If the event ends at 9:00 PM and the cleanup will take 1 hour then the reported end time should be 10:00 PM.